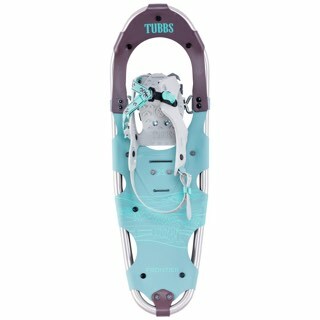 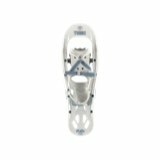 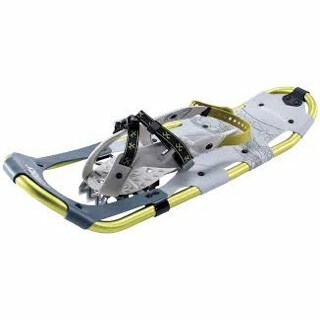 The Tubbs Men's Flex Trek Snowshoe. 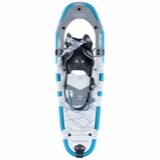 Ideal for those interested in taking a hike along flat and rolling terrain in mid winter, the Flex Trek enables you to walk freely and easily over snow so you're not confined to the treadmill during the colder months. 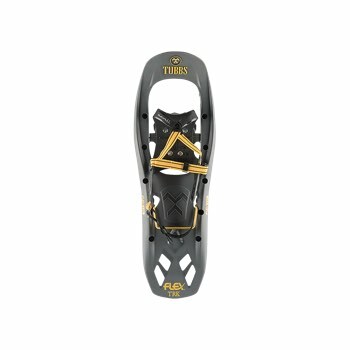 The Torsion Deck frame flexes to match uneven terrain, and the 3-D curved traction rails bite into hard and icy snow for secure footing every step of the way. 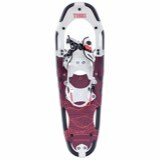 Plus, the 16-degree Active Lift heel reduces strain on your calf muscles when the trail starts to get steep.